It’s the beginning of a new year and many of us are trying to clean up our diets and focus on healthy foods. So when I saw Sue Quinn’s book on “Super Foods Every Day” I could not resist. Her book begins by discussing exactly what a superfood is and notes that some food manufactures have exploited the facts. She then devised her own rating system adding foods that are high in vitamins, phytochemicals and other nutrients that are associated with good health. The book’s chapters start off with breakfast and end with sweet treats. 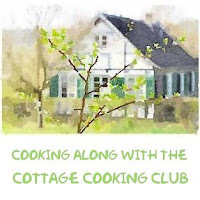 Each recipe notes the nutrient information, time to prepare and amount of servings. The ingredients themselves are simple and fresh and loaded with tons of flavor. When I first received the book I was a little surprised as it was so small, but then again sometimes the best things in life come in small packages. Since I live in the southwest and we have fresh citrus at our disposal I started off with the Spiced Citrus recipe located in the last chapter. Grapefruit and orange segments were drizzled with the juice from the fruit, sugar, butter and allspice that was reduced to a syrup and topped with topped with cinnamon and honey spiced yogurt and pecans. Both my husband and I thought it was the most delicious and satisfying sweet treat we have ever had. This cookbook is a keeper and will be kept front and center in my kitchen. You will not be disappointed. Wow this does sound wonderful. What a great cookbook. I was just thinking about fruit recipes and how they are always my favorite. Can't wait for strawberry season! We have snow in the forecast so I guess it will be a while. Thanks! Hi Tricia, strawberries are one of my favorite's too, but citrus is growing like mad here. Hope you are having a great week. Thanks Tandy, yes, it is a pretty cool cover. WOW! This sounds amazing. We are on a healthy diet and its a must! Thanks Kushi, it's a wonderful book. Grapefruit with honey, cinnamon and pecans sounds incredible! Thanks Dannii, it's my favorite new way to enjoy grapefruit. Sounds like a great book for some inspiration. Thanks Caroline, there are so many great recipes in this treasure. Now that is my kind of dessert! Healthy but so flavorful with spices. I make something similar with my Baked Asian pear recipe and our family loves this too. Looks like a great cookbook. Hi Bam, will check it out, I happen to have some pears hanging around too! Have a great day, Cheri. Such a good point Robyn, you are such an optimist. Take care! Hi Cheri, I've tried to leave a comment a few times but there seems to be an issue. This time I'll cut and paste it in an email if it doesn't go through, lol. I love this dessert because you can satisfy your cravings with pure sweetness. I love the combo of ingredients and I can see why you both enjoyed it so much. I'm going to get this book! Got them all Robyn, not sure what happened. Sorry about that. Most of us don't eat fruit as a dessert often enough. That sounds like a terrific way to prepare it! And the book sounds excellent. Thanks for the heads up! Thanks Grace, me too, we have a pink grapefruit tree and this year has been a good one. Thanks so much for sharing this wonderful spiced citrus dessert. What a great dessert with citrus! I love all the citrus options available right now, and the yogurt topping sounds so good. Hi Lisa, I really liked this one. Hope you are having a great week. That does sound absolutely delicious. Will have to look for that book. Thanks Suzanne, it's definitely a keeper. Thanks D, hope you are warm and safe in that cold, cold weather. I'm also trying to clean up my act for 2016. Do I miss coffee! I love inspirational books like this that give healthy new ways to use common ingredients. Sounds wonderful! Thanks Chris, me too! I've already prepared 4 recipes and they have all been amazing! Thanks Moumita, you are so sweet. This book sounds great -- it's perfect to get back on track for the new year! Thanks Marcie, sometimes I need a little kick in the pants to get going on the right track again. Thanks for turning me on to Blogging for Books! I got my first one and love this program! What a fun sounding book and I must say that fruit desserts are the best. The problem is that it is hard to resist the rest. But when I eat fruit, I feel so much better abut myself. 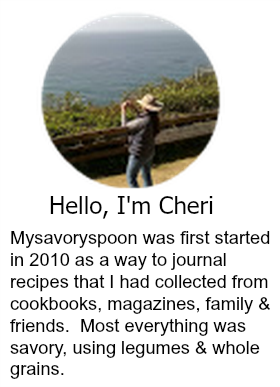 This sounds so good, Cheri! Thanks Abbe, can't wait to see what book you picked, will be looking for your post. Sounds like a very helpful book when you want to eat healthy! Thanks Charlie, this book is just like that. 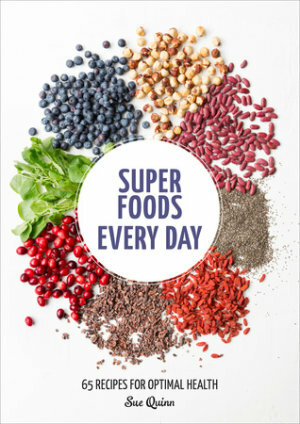 This book will be great for learning about superfoods. The citrus dish looks amazing, and yet not like one of those "this dessert is really healthy" recipes. Thanks for sharing! Hi David, yes, I get exactly what you are saying. Perfect weather we are having!! Yum! I have eaten grapefruit with just a drizzle of honey twice this week. Hi Kim, good for you guys, it is a great cookbook.